Until recently if you wanted a high end drone with a built in camera you either had to buy a DJI Phantom 2 Vision Quadcopter – which would set you back well over 1000 dollars, or a Parrot AR.Drone 2.0 – which while still an excellent drone, is missing a few key features that most people would want to see in a drone with a camera. But now with the release of the DJI Phantom FC40 Quadcopter , there is finally a drone with a built in camera that bridges the gap between the high end DJI Phantom 2 Vision, and the Parrot AR. Drone 2.0. 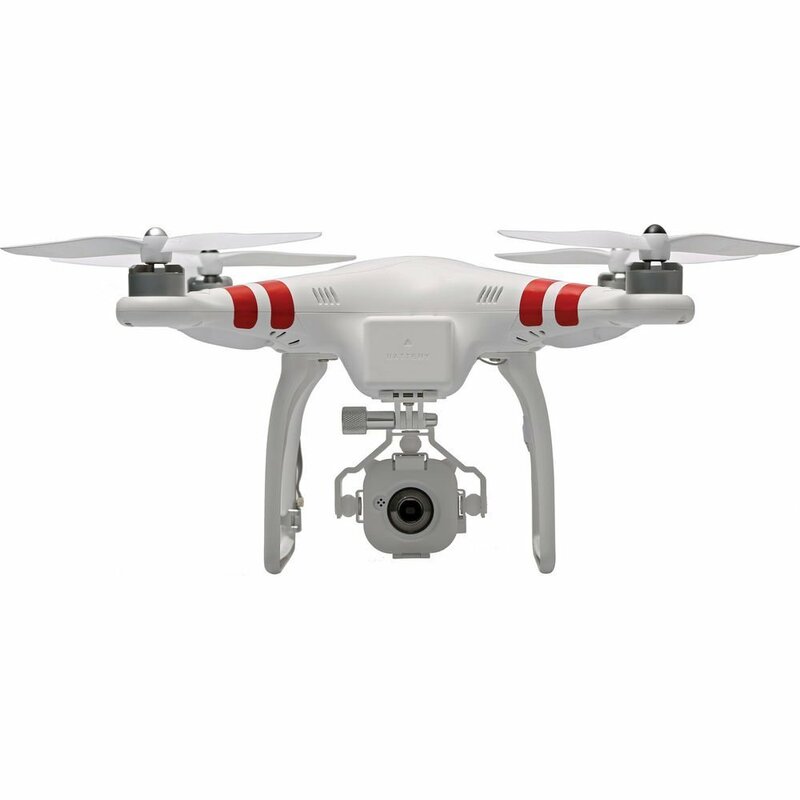 The DJI Phantom FC40 is regularly sold for around half the cost the DJI Phantom 2 Vision’s price tag, and you can occasionally find it on sale for even less. 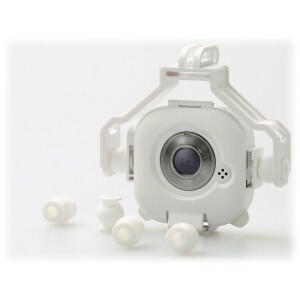 And don’t worry about the the quality of the DJI Phantom FC40 – just because they’ve reduced the price tag doesn’t mean that they reduced the quality. It still comes uses the DJI NAZA M V2, which made flying the DJI Phantom Vision 2 so easy. And it still has the same self tightening rotors and smart-phone app to control the mounted camera with. The only main difference is in the quality of the camera itself. It still boasts on board storage, but the camera is only 720p/30fps now. This is a significant downgrade from the 1080p camera that the DJI Phantom 2 Vision came equipped with, but it should be more than adequate for anyone just looking for non-professional video and photos. Even though it is only 720p, the shots are still excellent quality. One feature that truly sets the DJI Phanton FC40 apart from other drones is its excellent smart-phone app. The app is easy to control, and allows you to easily record and take pictures while the drone is in flight. However, the camera does have to be positioned manually before take-off, so don’t expect tilting like on the DJI Phantom 2 Vision Quadcopter. Something else worth mentioning, is that the new remote control is 5.8ghz, which will no longer interfere with the 2.4ghz wi-fi broadcast from the camera while flying. While this wasn’t a common issue on the previous drones, it is a nice upgrade. Another small, but nice upgrade, is that the USB port that used to be mounted on the inside of the drone, is now mounted on the bottom of the drone. Nothing earth shaking about that change, but once again it is a nice small improvement. I have spent most of my time recently flying mostly toy drones for the Robot Stockpile, so I was excited to get the chance to fly a DJI Phantom 2 quadcopter again. The drone that arrived from Amazon.com was perfectly laid out in its box, and all the parts were easy to find and assemble. It was only a short time before the drone was fully charged up and ready to fly. My last few test flights involved a lot of fighting with the drones, and a few white knuckle moments when it looked like they were going to crash, so the simple take-off and hovering that I acheieved with the DJI Phantom 2 was like a breath of fresh air. There is no fighting with the DJI Phanton 2 FC40, and the onboard DJI NAZA M V2 provides help with the stabilization and offers a fail-safe mode in case you lose contact with the drone. It also allows you to lock you altitude and position so you take the perfect position. The GPS module even works in windy conditions, so trying to hold the drone steady while taking a picture doesn’t require two hands and foot to do properly. Even though the conditions were far from perfect during the test flight, the drone handled very well, and I had no issues with hovering, take-off or any of the more advanced flight maneuveres I tried. With the DJI Phantom FC40, you almost have to actively to try to screw up for anything to go wrong, since the flight software is so advanced. Usually I can list a whole host of issues with the drones that I test, but DJI has come close to making a perfect drone here. The only small issue that I will nitpick is the inability to tilt that camera in flight (which really can limit the camera in some situations). And as always, I have to mention that some people have reported losing control of their drones. Thankfully, in all but one of the incidents that I read about, the drone was undamaged and went into fail safe mode. I had to emphasis that these events are rare, and other factors may have been in play. Click here to read more reviews at Amazon.com . 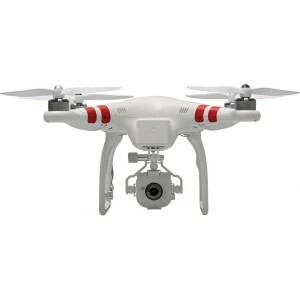 For our Canadian readers, you can find the DJI Phantom FC40 at Amazon.ca.